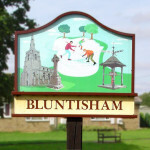 On behalf of Bluntisham Parish Council I would like to update you on the actions the parish council has undertaken this week, in relation to the local plan. The Parish Council submitted their concerns on the changes to the local plan status, click here, to the MP, Secretary of State and HDC on Tuesday 23th January along with 132 signed objection letters from parishioners in support of the parish council. A letter from HDC has been received, click here, and a personal phone call from the MP’s PA has also been received. The MPs PA confirmed that a written response will be sent to the parish council by the end of next week and that a further letter has been sent from the MP to the Leader of HDC. She also advised that all those people who supported the parish council will receive a response from the MP next week. This website will be kept updated with regular updates on the status of the local plan, and any correspondence received. A big thank you to everyone who took the time to read the information sent by the parish council, and who responded within the tight timescales.